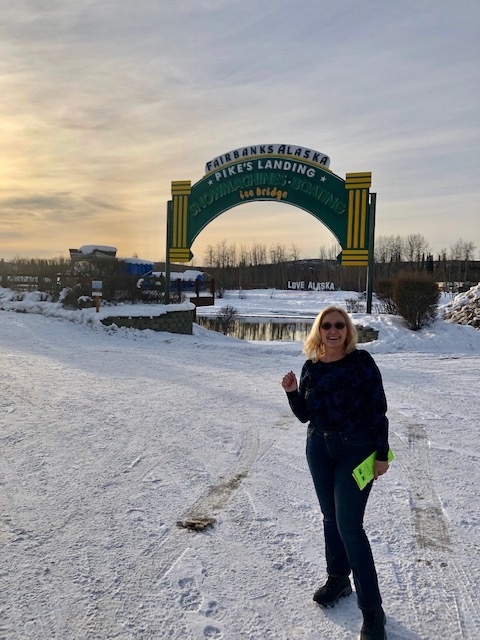 Since about 40% of my retirement income comes from my years spent working for big oil, it was significant for me to visit the Alaska Pipeline, which runs from Prudhoe Bay, past Fairbanks, and terminates in Valdez. 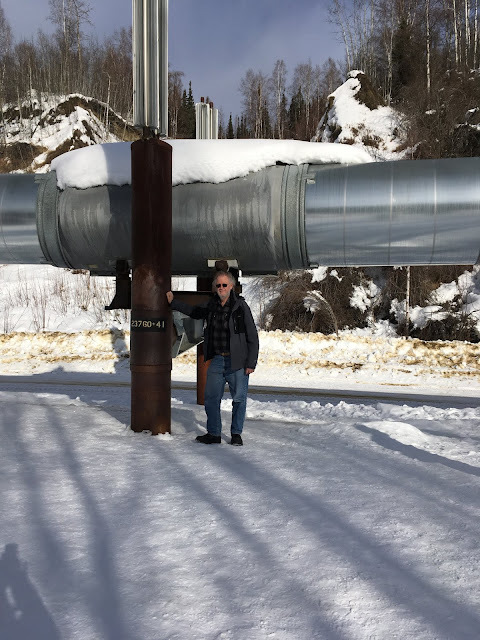 Here I am at one of the supports that carries the pipeline and protects the permafrost from melting. It was pretty neat seeing the pipeline, even now as we recognize we can't just keep burning fossil fuel, or at least not releasing all of the CO2, because of the impact of climate change. 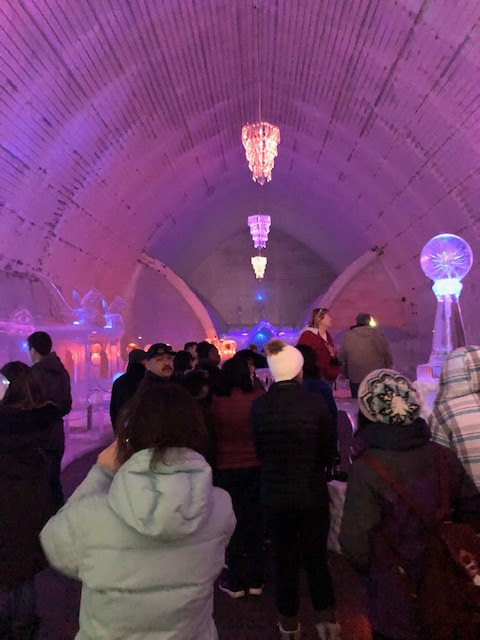 We also discovered that during the colder parts of the year, when the Chena River freezes over, the ice forms a natural bridge across the river. At this time of year there is ice along the banks of the river, but not frozen all the way across. 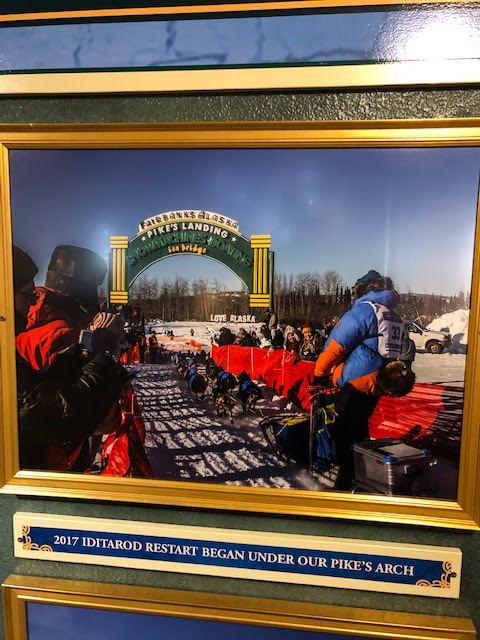 But back in 2017 and in 2015, at this time of year, the river was frozen enough for the start of the Iditarod dog sled race to begin here in Fairbanks. 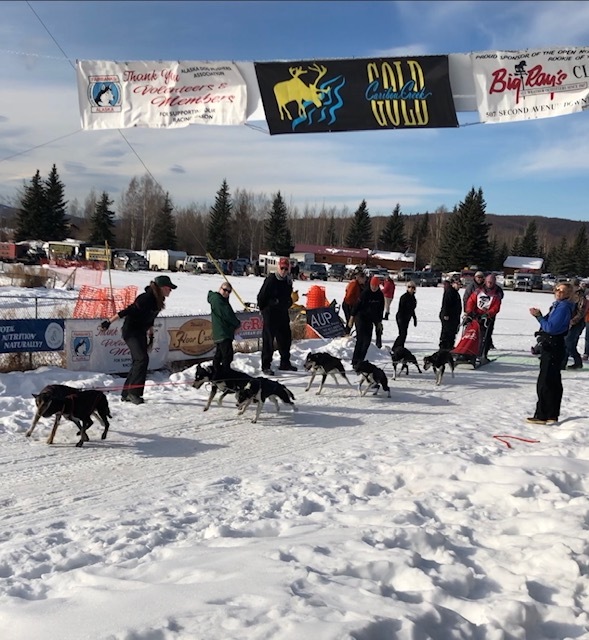 Normally, when the race runs in the northern direction, it would begin in Anchorage and end up in Nome, but in those years there was not enough snow around Anchorage, so the race was started in Fairbanks. 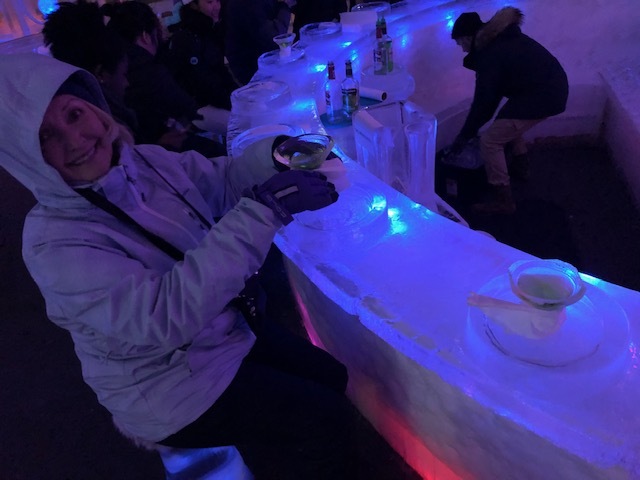 There were several dog sled races and competitions going on so we attended one race to get a sense of what it was all about. 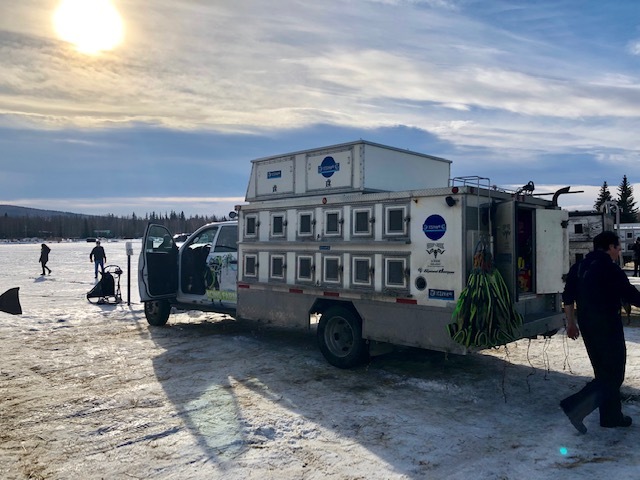 We saw the dogs arrive in truck carriers and the mushers laying on the ropes and harnesses and tying the dogs to the sleds. So, after seeing and hearing about the dog sled races, we decided we should try it ourselves. 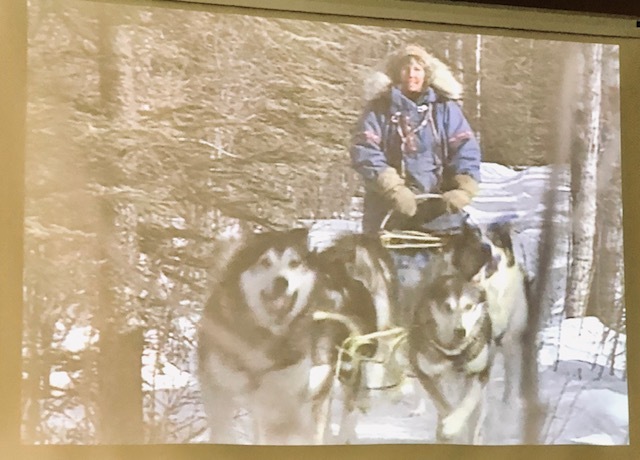 Well, at least we would just sit in the sled while the musher took care of the dogs and staying on the trail. 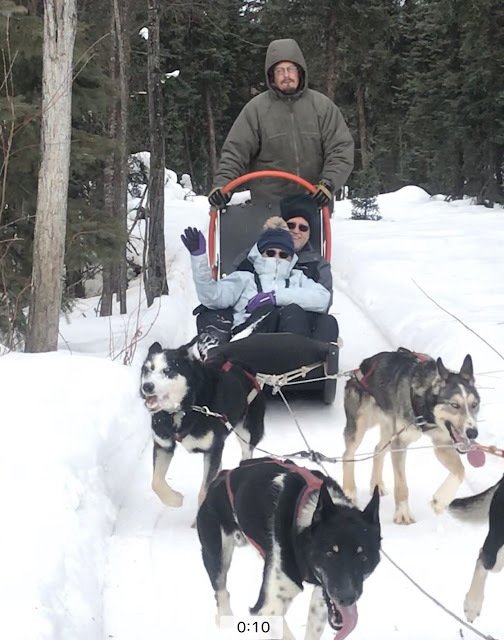 We had a very nice team at Jesse and Becki's dog sledding home. Jesse and Becki were great hosts and they live somewhat off the grid and are quite adapt at living in the wilds of Alaska. When we first arrived there all of the dogs were excited and greeted us with lots of barking. Once the dog team was selected, the remaining dogs sort of said, "well it's not our turn" so they just quieted down and went back to rest. If you haven't been dog sledding you might want to look up Jesse and Becki the next time you are in Fairbanks and hey are located on the Chena Springs Road. Thanks for a great time, Jesse and Becki! 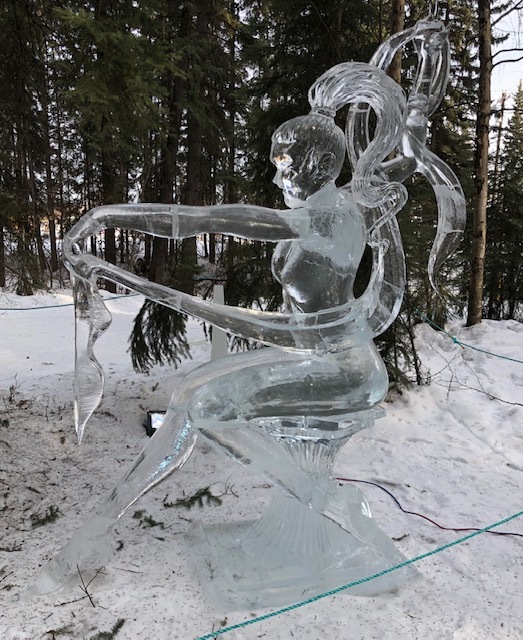 We also had a chance to see many ice sculpture exhibits. Wow, it is pretty neat that the artists can create such shapes and details and not have the whole thing just fall apart. 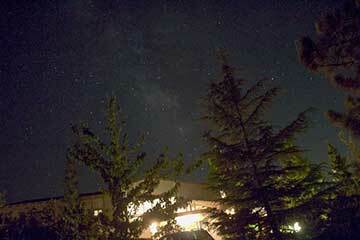 We also took a little trip up to Chena Hot Springs Resort. We brought our swimming suits but decided to just have lunch and visit the ice museum and have a martin there. Finally, after being clouded out so many nights in a row now, the weather forecast shows one possible opening between 1 AM and 4 AM. 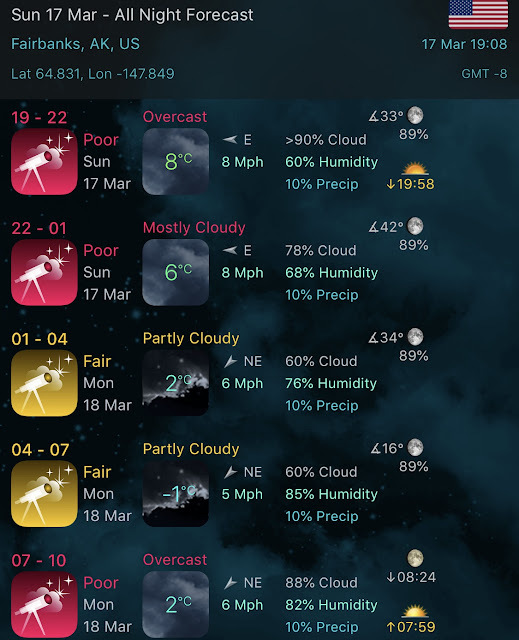 Hmm, it still seems pretty risky, but , hey, that is what we expected and the search for the northern lights must go on!